Are you a beginner wondering how to progress to the next level? 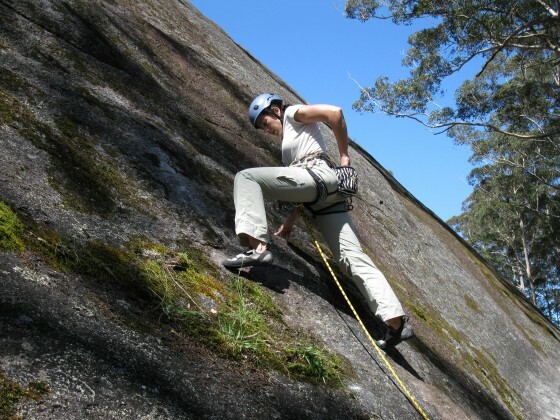 Are you an intermediate climber determined to be the next Chris Sharma or Hazel Findlay? Or do you just wonder sometimes how you got to the top of a climb, much like how you got home after a big night out? We can’t solve all of life’s mysteries but we can assist you to develop good climbing habits so you can realise your full potential, both in the gym and out on the rock. Group size will be limited to 8 members, to ensure that you get plenty of individual attention. Minimum 6 to run the event. Registration prior to the event is essential. To register or make enquiries, please email me: denar@climberswa.asn.au. Please note that to register for the clinic, you need to be a current CAWA member. Joining online is quick and easy: Become a CAWA member today.